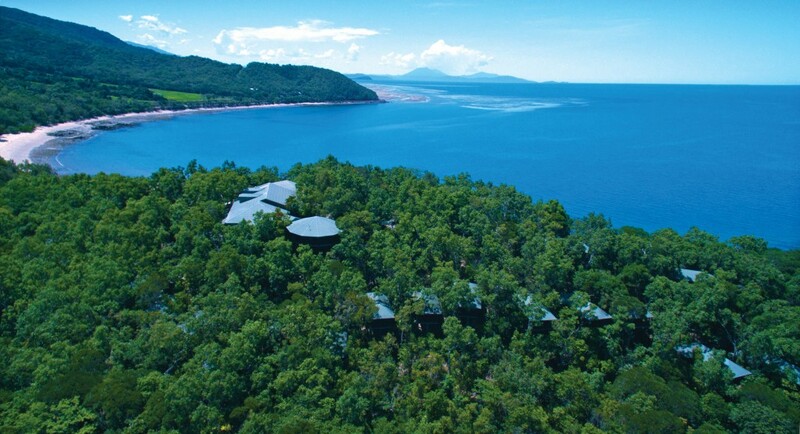 Thala Beach Nature Reserve is a privately owned deluxe eco retreat situated 38 kilometres north of the city of Cairns (approx 45 mins drive) and 16 kilometres south of the village of Port Douglas (approx 10 mins drive). Timber bungalows are positioned amongst 58 hectares of wooded headland and private access beaches. It is one of the world’s most beautiful private access beach locations. The story of the natural history of Australia is unique, with Thala having a strong connection to the natural environment. Thala is accredited with Advanced Eco Tourism credentials. Grass trees sprout along pathways, their scaly black trunks topped with tufted grassy headdresses, stunted reminders of a land long ago. Slate paving, cut from a nearby quarry, show glimpses of Gondwana in fossils over 400 million years old. The main building at this Port Douglas retreat is designed to embrace all the elements of the tropics. Built from local timbers, it is open and spacious, allowing the cool sea breezes to flow. The polished timber reflects the warm sun of the tropics by day and the soft flicker of lamp light by night. 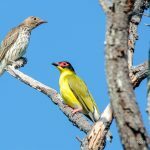 Birds are a constant source of entertainment with lorikeets, sun birds and honey eaters taking advantage of the high ceilings to swoop through the dining room and bar. Kookaburras watch quizzically from nearby trees. Thala is situated on a hilly headland with bungalows positioned within the forest at various levels across the hill. Access to bungalows is via paved pathways which are lit at night. Guests with limited mobility should advise us at time of booking so we may allocate a bungalow close to the main lodge. Complimentary electric buggy transfers are available at any time for guests who prefer not to walk to and from their bungalow. Curlews Lounge is a circular guest lounge and reading room perched high amongst the popular gums with a breathtaking view over the Coral Sea. Small islands dot the horizon poking out of the waters of the Great Barrier Reef. Mountains clad in dense forest, protected by World Heritage Listing, sprawl across the skyline falling to the ocean’s edge. Forest paths weave amongst wispy eucalyptus with chalk white bark, linking the bungalows with the main lodge building. Paths weave throughout the forest, up and down hills and onto the sandy beach where delightful hours can be spent discovering secluded coves or just feeling the warm sand between your toes. Walking trails are cleared through the southern forest for guests to explore Thala’s grounds – pick up a birders field guide and a pair of binoculars from reception before you go! The timber deluxe bungalows at Thala Beach Nature Reserve are elevated on poles within the forest canopy. All bungalows have views either to the ocean (Coral Sea Bungalows) or the forested mountains (Eucalypt or Jungle Walk Bungalows). Time spent relaxing on the timber decks is always well rewarded by sightings of birds, butterflies or at night, possums and sugar gliders. We have a wide range of forest types, which provide habitats for some extraordinary birds, plants and animals, providing a magical and unobtrusive relationship with nature. Thala Beach Nature Reserve is located on the northernmost headland of a 2km stretch of untouched coastline. 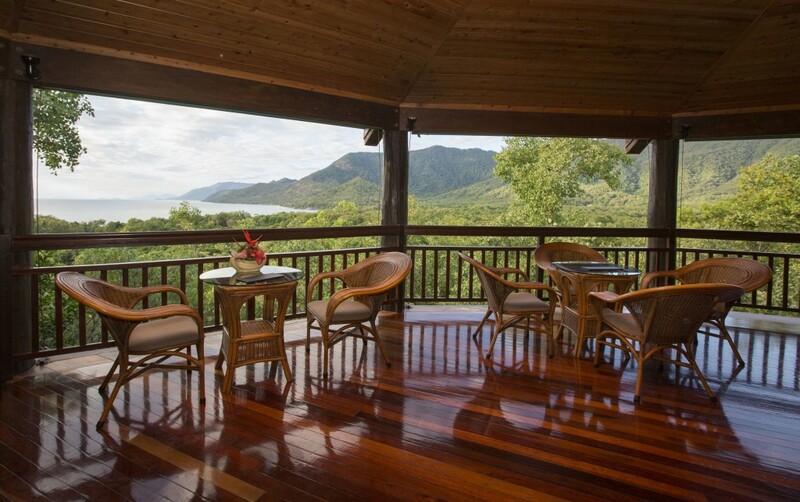 The views from Osprey’s Restaurant and Curlews Lounge are panoramic, taking in the Far North Queensland coast from Double Island to Cape Tribulation, and from the sparkling waters of the Great Barrier Reef to the World Heritage forests that cover our coastal ranges. Thala is located 10 minutes drive from Port Douglas. All tours in the Cairns, Port Douglas area pick up at Thala Beach Nature Reserve. All local specialist tours can be arranged for you after arrival via our Tour Desk. Whether strolling under the coconut palms on our private tropical beach or relaxing with cocktails watching the sunset over the coastal ranges, you will be enchanted by your surrounds. 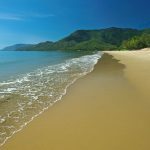 Thala Beach Nature Reserve’s Port Douglas accommodation provides a natural and secluded environment for your relaxation, and is a tranquil haven at the end of a hard day’s exploring. Thala’s stunning world class Osprey’s Restaurant is situated on top of the headland with panoramic views over the coral sea and tropical rainforest ranges. Open for breakfast lunch and dinner. Complimentary on-site experiences are available to guests including the Coconut Odyssey tour, Birdwatching, Beach Discovery, Nature Walks and Star Gazing in our custom built observatory.